Computrols Building Automation Software (CBAS) is the simplest building automation system software to install, program, maintain, and operate. From its inception, CBAS was built with the end user in mind, enabling facility managers to make changes to their systems without the guidance of a trained technician. This approach has all but eliminated the need for our customers to carry hefty maintenance contracts like those required by many of Computrols’ competitors. CBAS is designed to control and monitor HVAC, lighting, access, and fire alarm systems. As with all of our products, Computrols’ research and development team is continually bringing new advancements to CBAS with the goal of making the job of the facility manager as easy as possible. Many of the features in the software today have come from minds of our most innovative customers. No need to grind over calculations to make sure you don’t overshoot setpoints. The decisions are made for you. CBAS offers three viewing options: hardware view, text view, and graphics view. Each offers a unique and thorough view of your system as a whole. CBAS comes equipped with an Internet protocol (TCP/IP) that can be used for controlling your system from anywhere in the world. TCP/IP also allows for networking multiple workstations. Use custom passwords to ensure the integrity of vital data. This also provides the system administrator with a complete list of lockouts to choose from. Allows the head end to upload all information to the controllers. This enables the controller to be truly stand-alone. Having the ability to access your BAS via your mobile devices and desktop computers can be invaluable for engineers and facility managers on the move. CBAS Web gives you access anywhere, anytime. Your tenants can utilize CBAS Web’s user-friendly interface for overtime air and tenant billing. This feature automates the entire process, automatically sending invoices to property managers at the end of the month to be distributed to their tenants. Rather than having to set up trends, CBAS allows you to record histories on all of your points, all of the time, from the inception of the Computrols system. Your only limitation is hard drive space. We know you don’t have time to dig into your energy usage on a daily basis, so CBAS Web gives you a quick, visually appealing view at the points that matter most to you. No matter what kind of facility you manage, happy tenants and energy savings are always among the top of your concerns. Have a look at our case studies to see how Computrols helped our customers create safe, comfortable, and energy efficient environments. 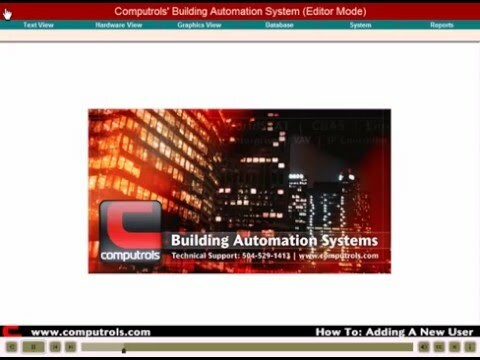 CBAS, the simplest building automation system software to install, program, maintain, and operate. CBAS software is capable of seamlessly integrating with various manufacturers’ field controllers. User manual for CBAS (Computrols Building Automation System) Software. CBAS Web is building automation via the Internet. This is Computrols’ premier web-enabled building automation product. The CBAS Web Accounting Module provides a complete invoicing solution for CBAS Web. This three-page overview of CBAS features shows you first hand several popular features in CBAS via screen captures of the actual software being used. Official user manual for CBAS Web. Also features the CBAS-Mobile user manual. A sequencer takes several binary points and combines them into a single continuous analog output. This feature can be found on the Point Program Screen of a Software Analog Output Setpoint in CBAS. Included to accommodate CBAS systems that have high-speed Internet service instead of dialup service, you can now send an email rather than just a page. The email message that is sent includes the name of the point and the status of that point. Read this document to see how. Many building management companies are interested in monitoring energy usage, either for tenant spaces or for the entire building. Monitoring can be included in their CBAS system through the use of Veris Hawkeye meters. A basic Microsoft Visio library of HVAC stencils for CBAS application as well as small animations.